34-year-old Martyn Compton from Battle in East Sussex served in the Household Cavalry. In June 2006 he went on his first tour of Afghanistan, and on the 1st August the patrol of small tanks he was in was ambushed. His vehicle was blown up by an improvised explosive device, which killed the three crew members. He was shot at with rocket propelled grenades which blew the engine up and engulfed him in flames. He managed to crawl out whilst on fire and as he put himself out he was shot twice. He suffered burns to 75% of his body, 3rd degree, and has undergone over 500 hours of operations and years of rehabilitation. In 2010 PTSD hit Martyn and fortunately he was given a focus and support form KartForce, Team BRIT’s linked charity which helps injured troops to access karting, therefore discovering a new talent for racing. Martyn was part of the early Team BRIT line-up in 2015 before leaving to race in other championships. 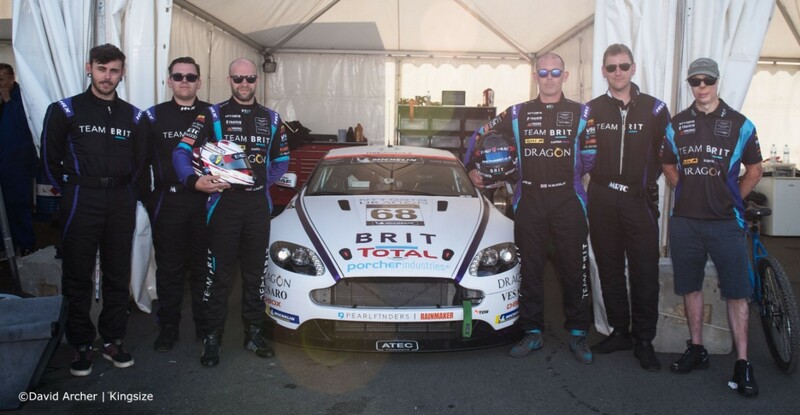 He has now re-joined the team as it begins its move into GT4 racing with the reveal of their Aston Martin Vantage. © 2019 Matyn Compton Racing. All rights reserved.